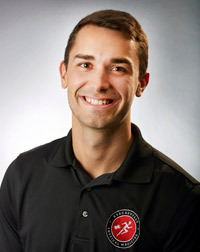 Dr. Marcus Cirelli earned his doctorate of chiropractic degree from Life University in Atlanta, Georgia. In 2016 he finished his degree while completing his last preceptorship rotation working under Dr. Gash and the rest of the staff at BPM. Upon graduation, Dr Cirelli took a full time position as one of the physicians at BPM. As a chiropractor, Dr. Cirelli is committed to promoting the health and well being of his patients. By combining the very latest adjustment techniques, newest physiotherapy procedures, and using a “whole person” approach to wellness, Dr. Cirelli is able to help you accelerate and maintain your journey to good health. His main priority is to help patients achieve optimum health. It is evident in his care that he loves teaching patients about improving their lifestyles through the help of chiropractic care, exercise and nutrition.